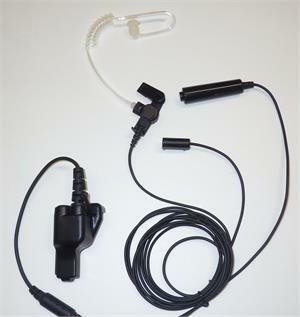 3 Wire configuration with torpedo style PTT, Sound Tube earpiece, and small microphone with clothing clip. 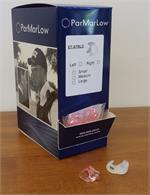 The ParMarLow Headset Adapter Cable allows any button receiver surveillance accessory to accept off the shelf 3.5mm mono/stereo earphones. 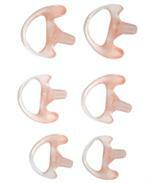 Gray Noise Cancelling Foam Ear Tips Pkg of 3 For use with Acoustic Sound Tube earphones. Significantly reduces background noise. 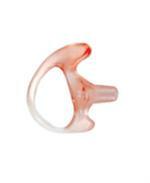 Extremely flexible material comfortably conforms to the ear. One size fits all. Quick Disconnect style clear coil sound tube with mushroom tip. 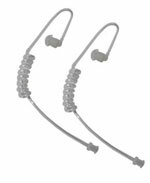 Package of 2 Sound Tubes for surveillance kits and earpieces. Replacement for ES-EST/MLD earpieces and the RS-0400 and other surveillance kits.